No matter whether you are eager to sell your used smartphone for a bit of cash or you are a seasonal seller looking for products that offer a good return on investment, you must have a look at our list of top 10 smartphone brands you can sell for instant money. It’s worth your time. 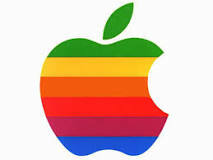 Owning an Apple smartphones are and have always been something to be proud of. So, you will constantly find buyers who will be interested to buy smartphones by apple for a good price, especially if they are used for a bit but not extensively. Being the world leader in the smartphone market is not an easy feat. Samsung has retained this position for a while now due to its ability to lead innovation and launch new products continually. You might want to cash in on the brand name while you can. Businesses looking for secure smartphone brand usually trust this brand. Though the brand has seen better days than today, the smartphones it manufactures are more affordable than ever, and the technology is superior. You can sell them to businesses in bulk if you just keep your sales pitch right. 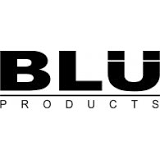 If you are looking for a low investment all-American smartphone brand, then BLU meets your expectations perfectly. The company offers a wide array of low-cost re-branded smartphones that can get you huge profits if you flash all their features brilliantly. Sellers who want to sell only innovative products should stock up on HTC smartphones. HTC goes beyond its own boundaries and launches more desirable, physically attractive and innovative products every year. None of its smartphones are alike. 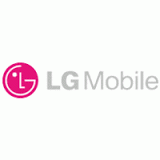 Smart buyers go for LG, a global brand that offers smartphones that are really smart and work seamlessly. The company is also praised for its excellent customer service. So, if you are looking for smartphones that net a good profit, LG can be your choice of brand. People who are looking for a budget phone with all the specifications of an expensive Apple product trust Motorola. So, as a seller, you won’t be wrong to trust this brand. The company continually offers great looking phones that work as well as any expensive (or shall we say overpriced) model. Most people who said No to Nokia have regretted it. Though the company lost its worth a while back, it’s regaining it by offering true value for money products. If you want to sell reliable smartphones that don’t break easily and last decades, Nokia should be your first choice. 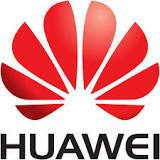 If you want to prove that everything offered by China is not of low quality, then Huawei smartphones would top that list. The smartphones are regularly updated and rarely need to be replaced. Dependable is the word that comes to mind. In case you want to invest in a smartphone brand that’s relatively new and still loaded with all the features that people expect in a smartphone then inDigi could be a good choice. We know it involves a slight risk but each brand has its own popularity among a certain group of people who would be interested to buying this smartphone.